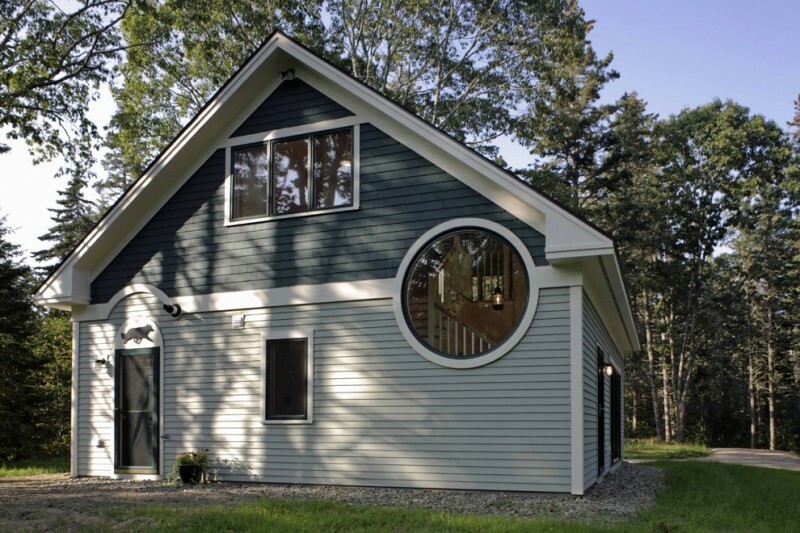 Home » Huge Options of Exterior Window Designs in Different Types, Which One Do You Prefer? There are so many options of exterior window designs different types that can improve your home’s value. View the designs of stylish exterior windows and make them a reference or guide of how to learn types, designs, sizes, and details for exterior windows. Here, you will find out tens of exterior window designs with different types. Please, check them out to know in more details. Craftsman exterior windows idea with white-finished wooden frame and glass panel; such model absolutely fits for traditional home design which is also so identical with other craftsman exterior materials. 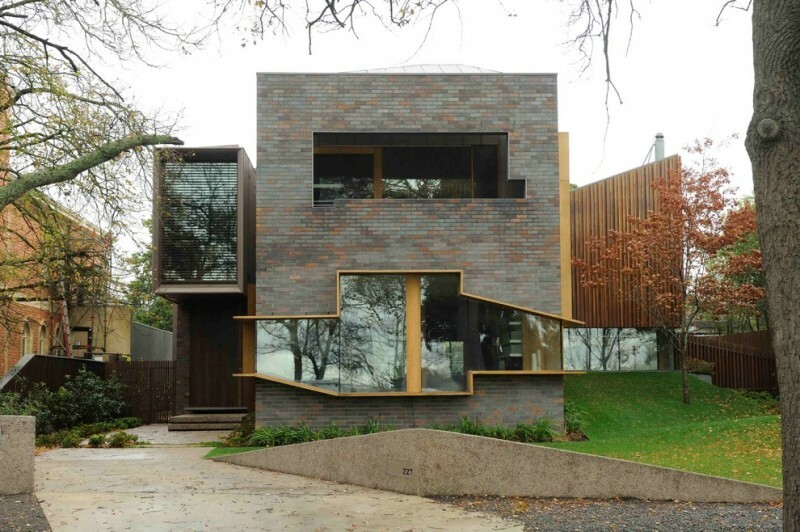 Asymmetric exterior windows with glass panels expose modernity and high-end design for such trendy house. Each window has thin black frames to create an illusion of larger glass panels on windows. There are three different designs of exterior windows in these two unique constructions. A rectangular-shaped exterior house applies square-shaped exterior windows for top and full glass windows for lower ground. Both use glass panel as the main material, so the homeowner can enjoy beautiful view outside just from the windows. Next construction, in the other hands, has been supported by narrow-vertical windows for providing sufficient sunlight from outside. Mirror glass exterior windows bring highest value for a trendy house. 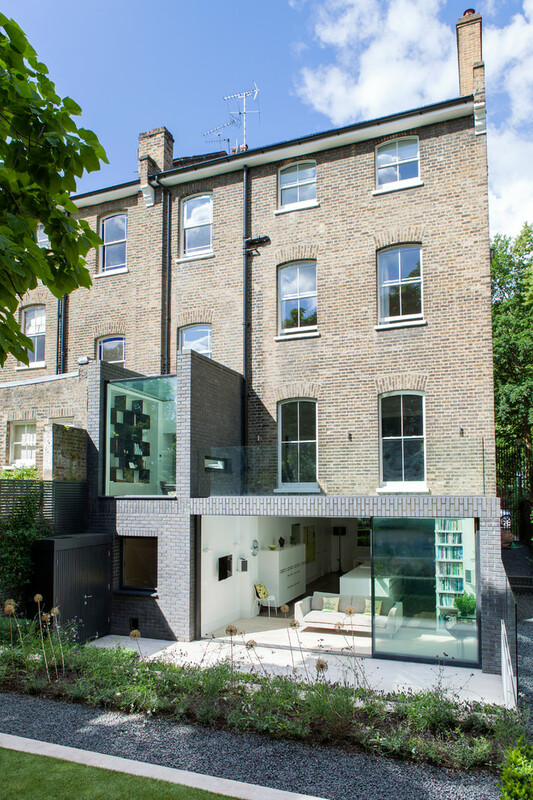 This flat roof house, for instance, exposes the series of mirror glass exterior windows. Mirror glass panels are able to reflect all things back, as if they’re showing off blue sky, green leaves of trees,etc reflected by those mirror glasses. 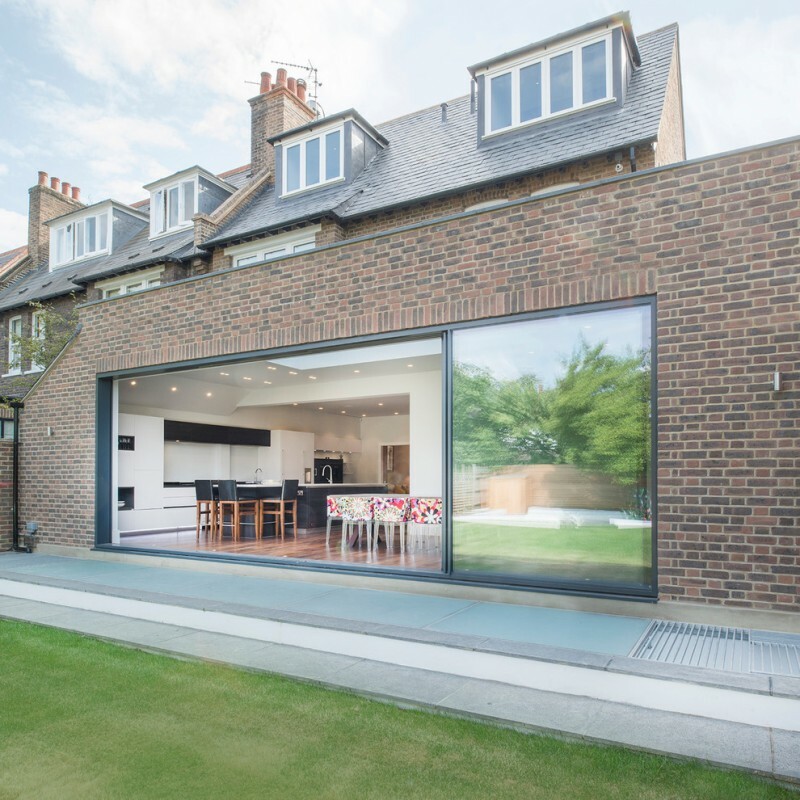 This flat roof house has been equipped with some series of minimalist exterior glass windows. The windows has deep black frame to emphasize the simplicity and elegance of windows themselves. The series of exterior mirror glass windows seem to be best complementary element for a trendy and contemporary house. 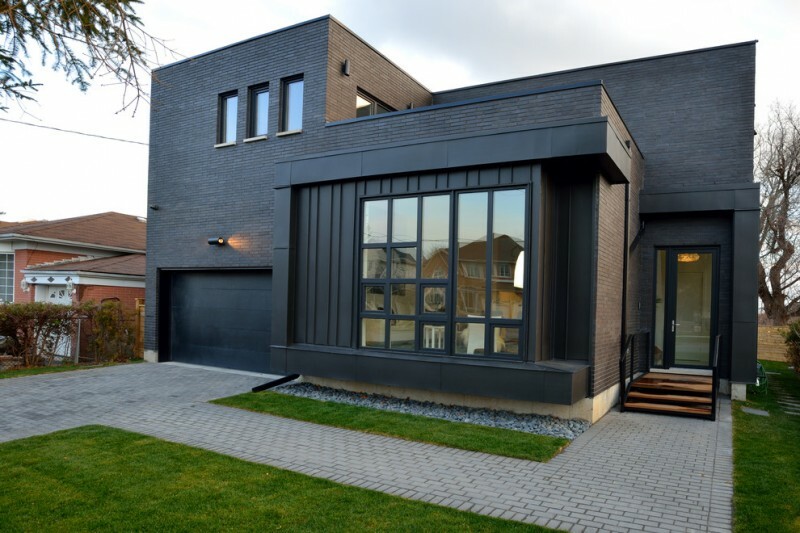 The windows are able to show their elegance and luxury among grey-finishing exterior. 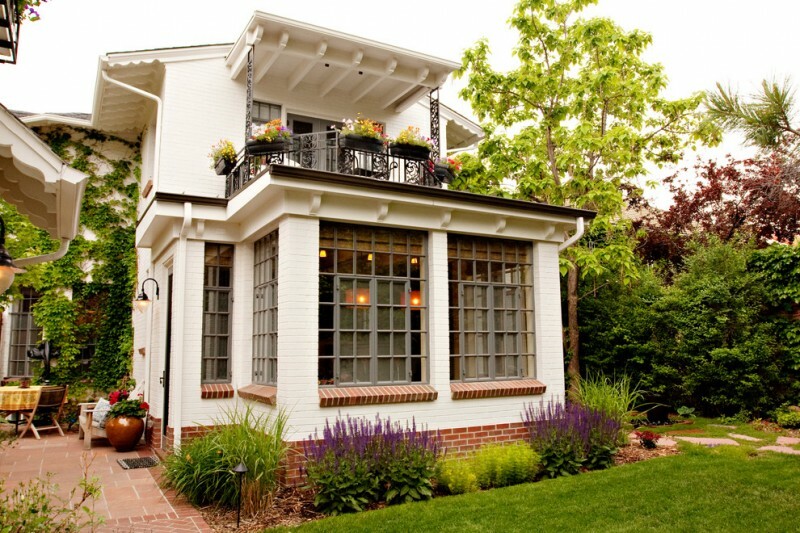 These exterior windows are so recommended for a traditional exterior. We can give them the shutters as their complements. We can equip our exterior glass windows with canopies as the windows’ ornaments and protection as well. 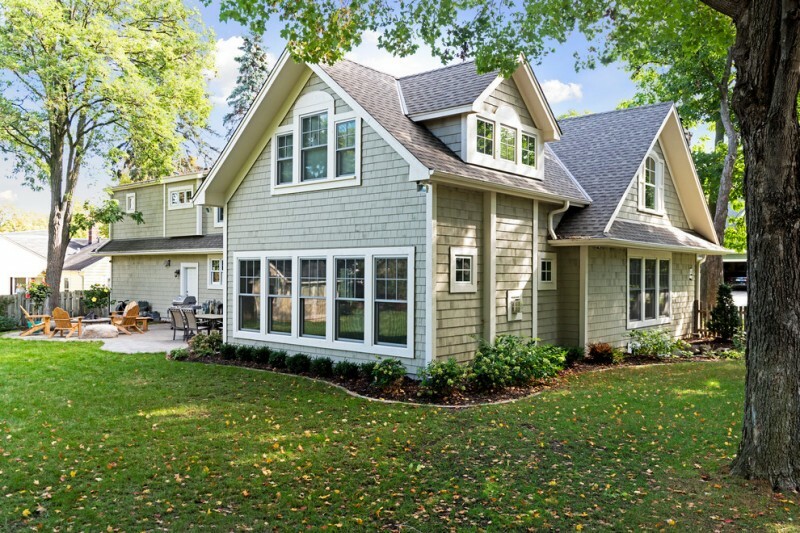 In this exterior, the homeowner selects hardwood as the canopy material. This material has been finished in dark to give a contrast look over dominant beige walls. 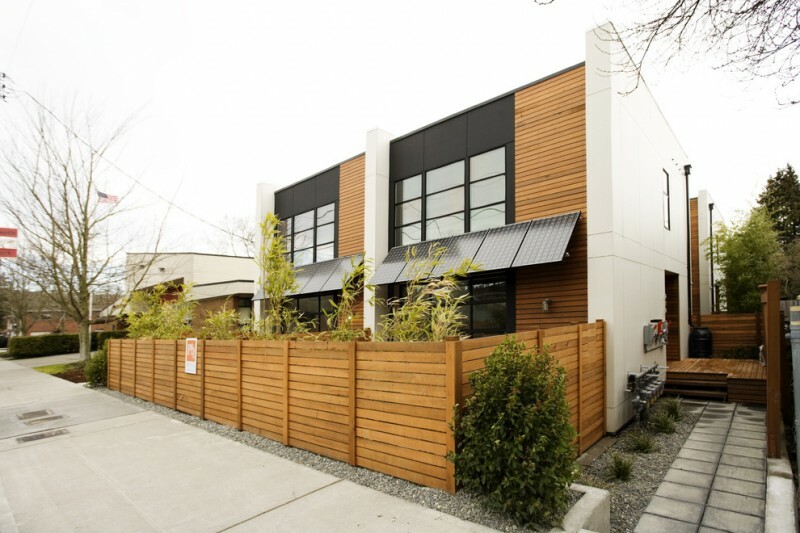 This flat roof house has been supported with marvelous exterior parts like exterior railing systems, wood-made stairs, glass windows with white trims, wood-colored window canopy, and grey-finishing wall system. It’s unique! The window canopies are made of solar panels and they can produce plenty of solar energy for supplying the energy needs. 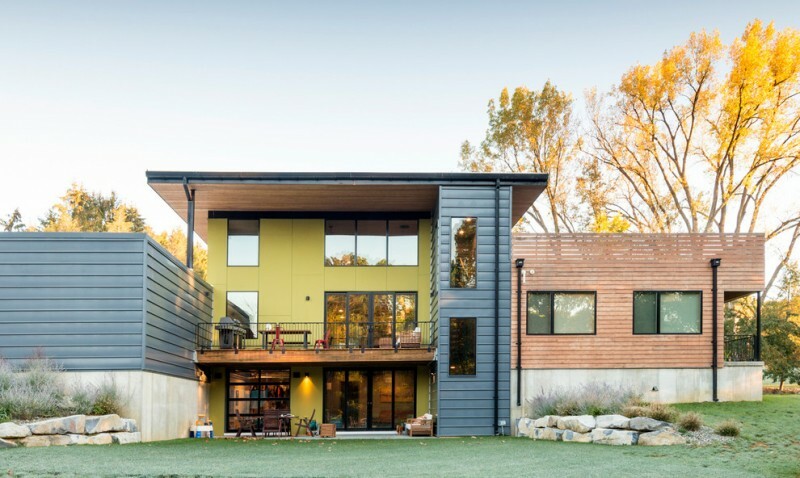 That’s why this house is called an Eco-friendly construction. This exterior window has a vaulted top and glass panel. Such model is often called a showroom window and it’s commonly used for a traditional house and cottage. The cottage’s exterior consists of red bricks walls, vaulted roofs, and semi-Mediterranean-style windows. 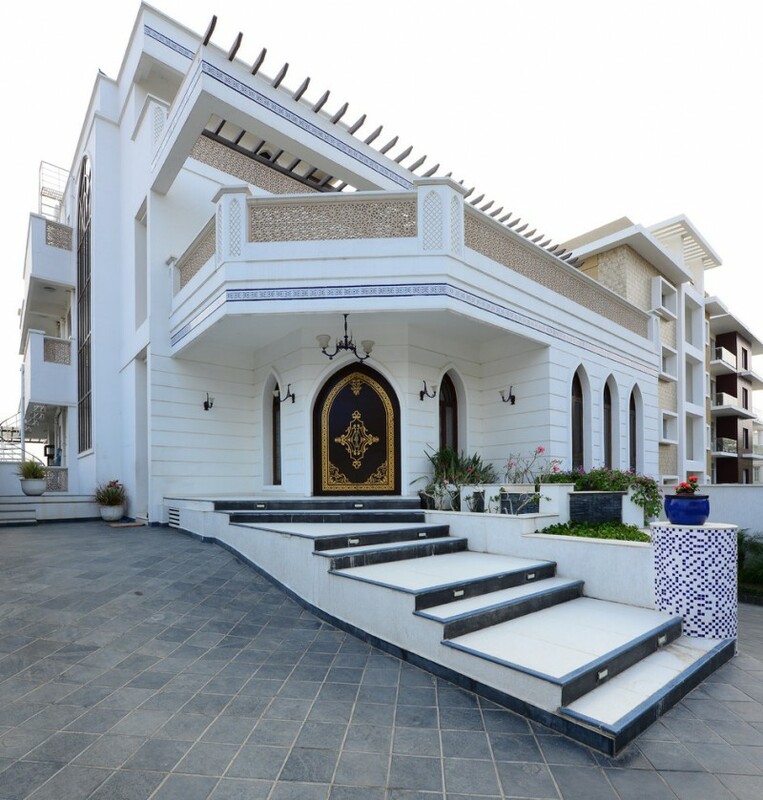 As we know, most Mediterranean constructions have typical characteristics and one of them is the construction is supported with large and curved-top door and windows. But here, the windows have additional panels installed on left-right side. 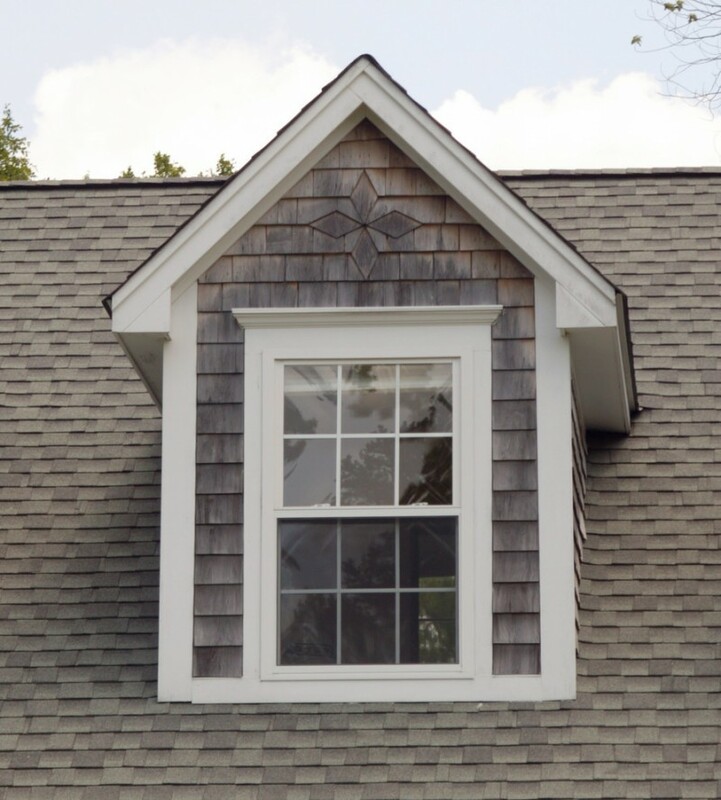 If you want to remodel your exterior by just adding few or particular traditional accents, these exterior windows may be your best choice. 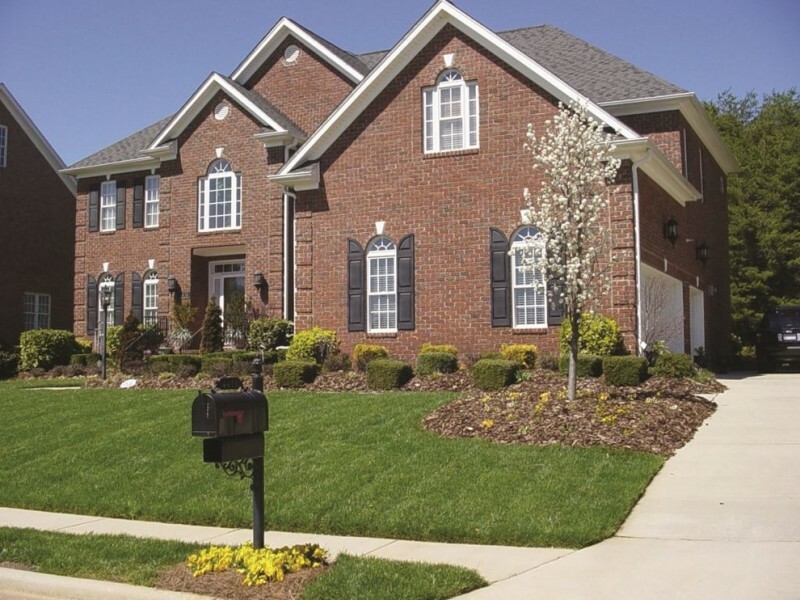 There are two kinds of exterior windows models: traditional windows with inner shutter and additional panels on their left-right side, and showroom windows at top. 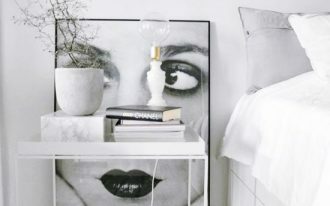 These two combinations, of course, give strong and obvious traditional look. 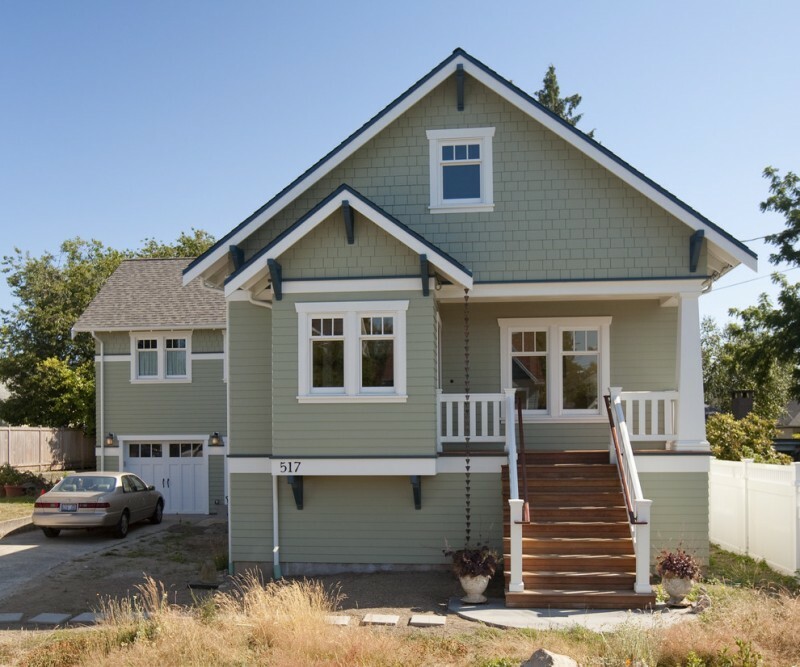 This construction displays traditional-style exterior design with modern touch as the additional elements. The exterior windows, for instance, are divided into two types: modern showroom windows (at top) and full glass windows (at basement). 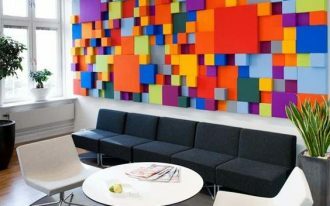 Both are designed in modern style by inserting simple and modern trims and glass panels. 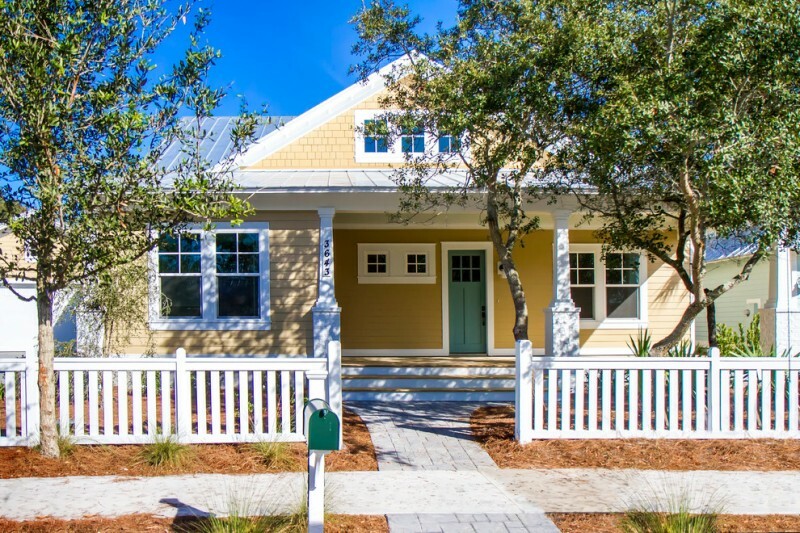 Exterior windows with vertical bricks accent – They’re so unique and can be customized on modern cottage like photo above. The design is very interesting, especially the top of windows in which they have similar design with Mediterranean’s window design. 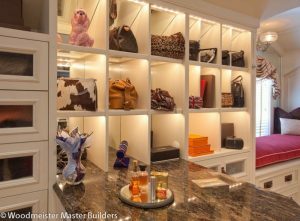 It seems so fun if we had a mini sunroom just by inserting a showroom-model exterior window in your house. This one is one of most recommended design which may you want to adopt. The window has white window trims and glass panels. Mix modern-traditional exterior windows are also recommended if you want to add little bit modern touch in your traditional exterior house. 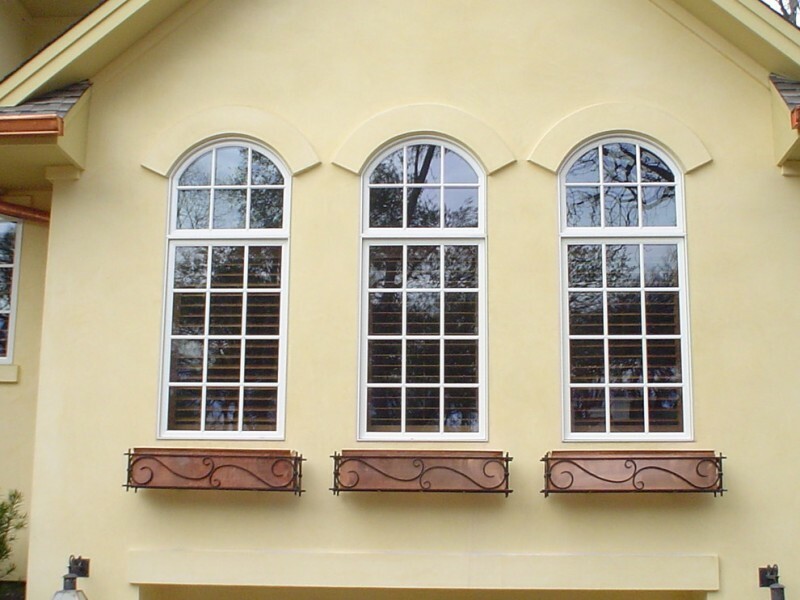 Traditional design is visibly displayed by the upper windows in which they have detail addition as a new accent. Additionally, the window has a couple of minor windows in left and right side. 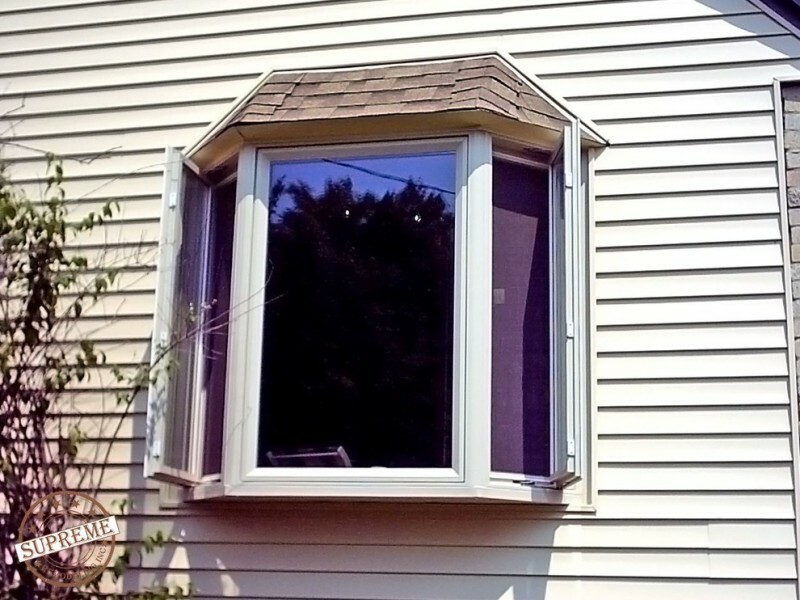 An inspiring exterior window: the series of exterior windows with open minor window addition. These windows are so matched for Mediterranean home design or tropical homes which require more air ventilators to help supplying and circulating the fresh air. Another type of exterior window commonly found in most residential constructions is pull-up exterior window with huge detail variants. 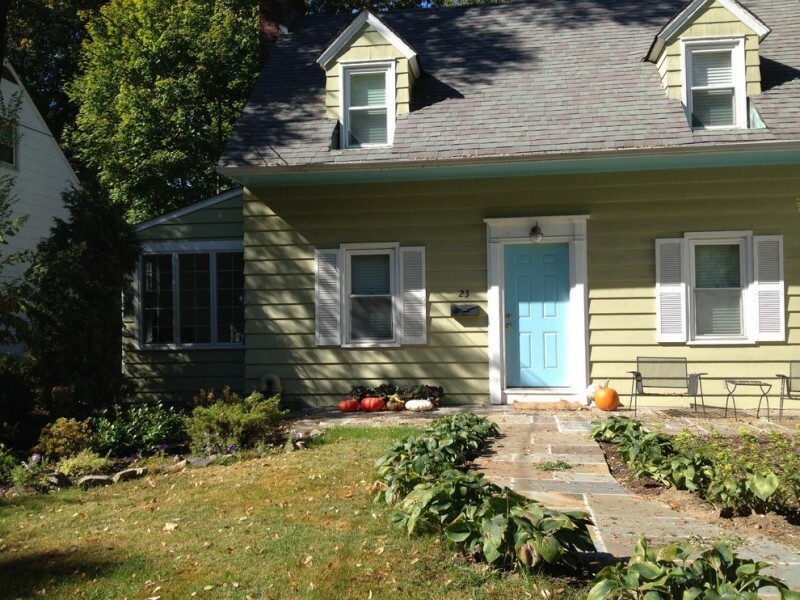 White window trims, applied on these pull-up exterior windows, bring a fresh and contrast accent toward the whole house exterior, including blue-colored entrance door. There is one more model of exterior window you may adopt. The window has unique-shaped detail on top as what has been described on the picture above. The window’s detail is also equipped with glass panel and window trims. Like the house’s main theme: tropical-themed house, the house exterior much more exposes fresh and green environment by existing exterior garden. 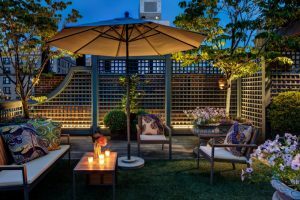 A walkway or path made of light beige clay-burned tiles adds special beauty and function to this garden. Then, the exterior windows are simply designed in minimalist, so they keep being matched elements for the house exterior. 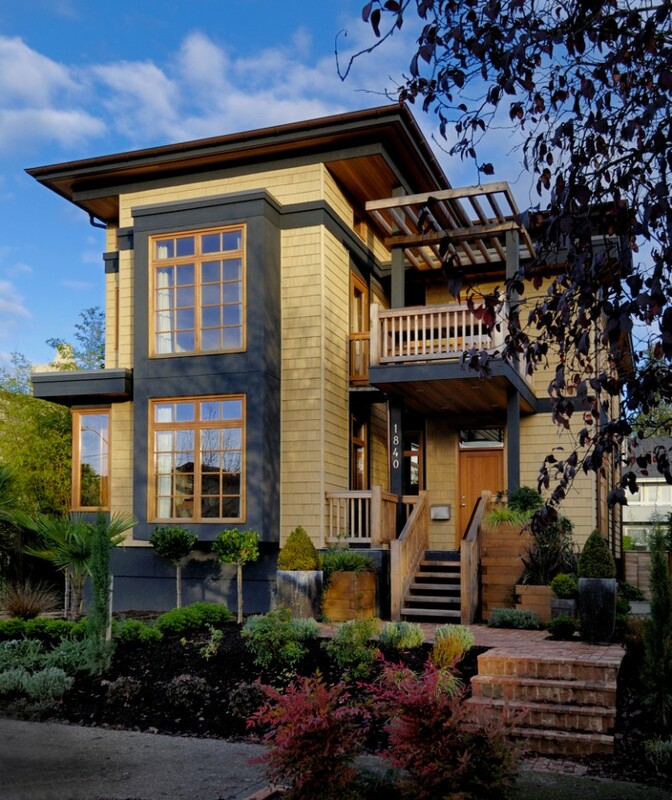 It’s interesting to use semi traditional-modern style as a main theme of house exterior. Like this idea; the house exterior emphasizes semi traditional-modern house exterior which can be viewed from each exterior element. The windows, for instance, have mirror glass as the window panels, giving a modern touch to those windows. 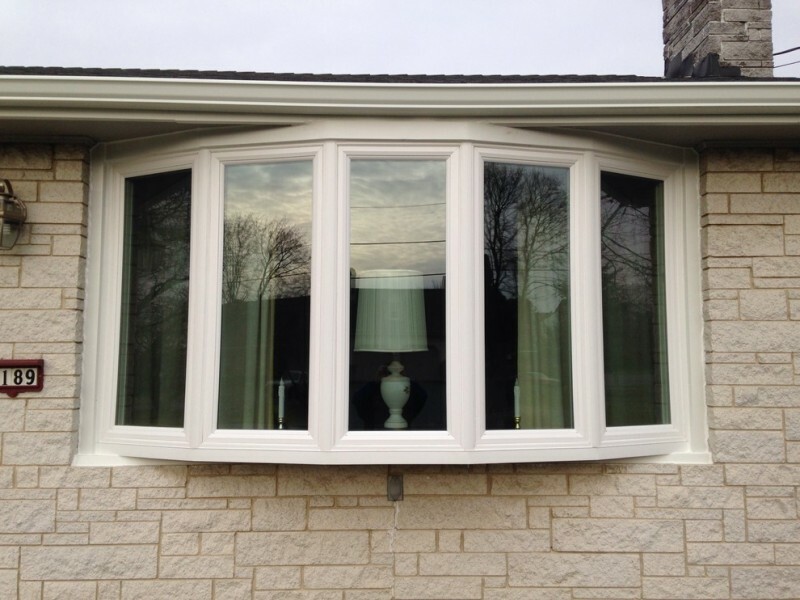 Want to try a new exterior window model? This new one actually combines the old Victorian and suburban styles. 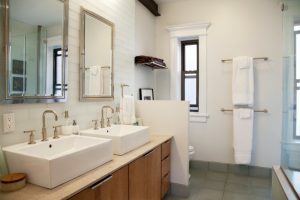 The design is much focused on the Victorian, but the beautifier (or the accent) and material use the elements that are commonly applied for a suburban residential construction. The windows here are designed with Victorian-style element on top (vaulted top), but the materials are applied in suburban way. 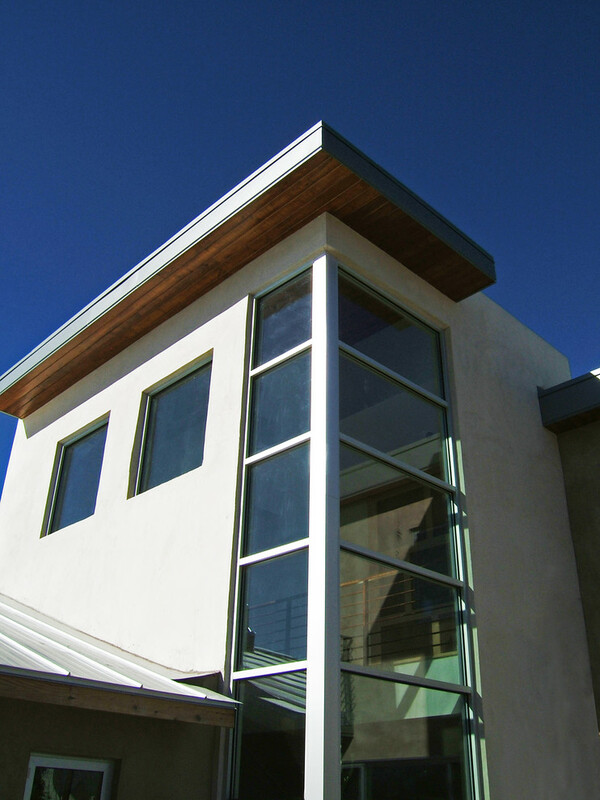 An angled exterior window idea with glass panel, white frames, and fascia trims. The window is able to enhance grey siding walls. Simple yet eye-catching, right? Another new model of exterior window is a staircase exterior window with glass panel and white window trims. This kind of window is commonly selected for a full-height residential building where the owner wants to shows the decorative staircase off inside that building. The window’s shape is unique and artistic, but there is another interesting part from this window is the details of iron wrought bars wrapping the window’s surface. 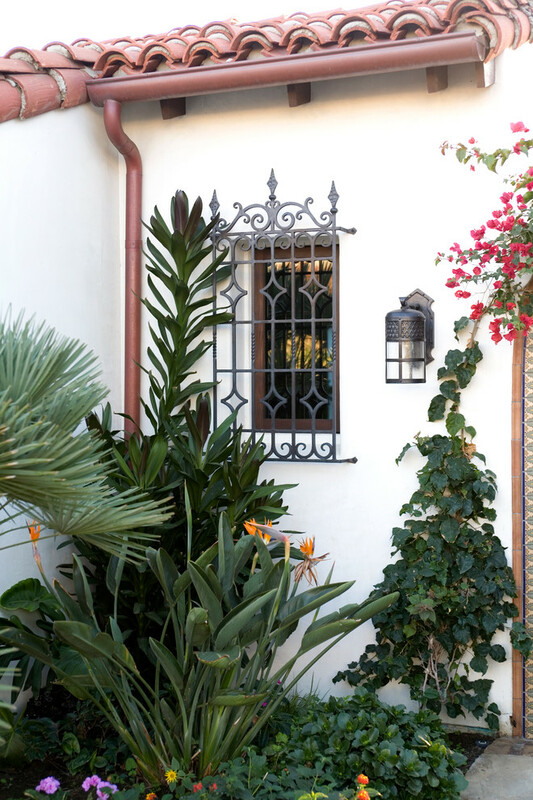 Black iron wrought bar additions are customized with Mediterranean-style exterior window. 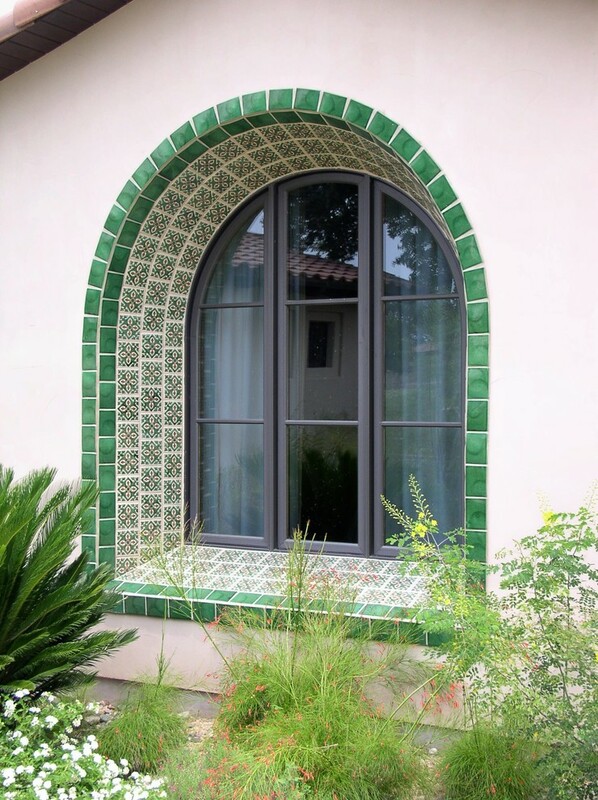 This is a great idea to insert this window into a Mediterranean house. 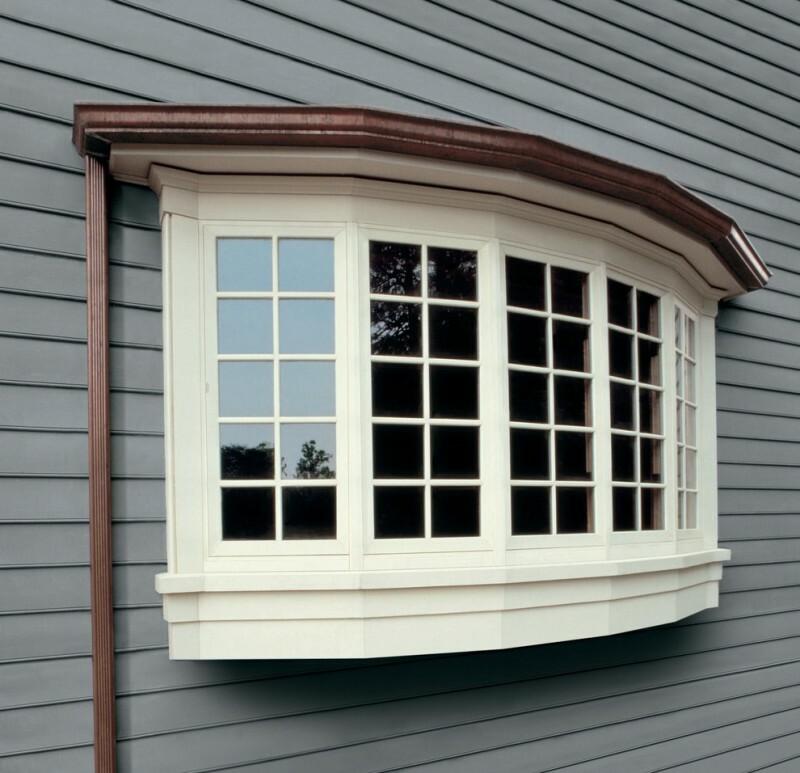 A bay window is also best choice to improve your exterior part. 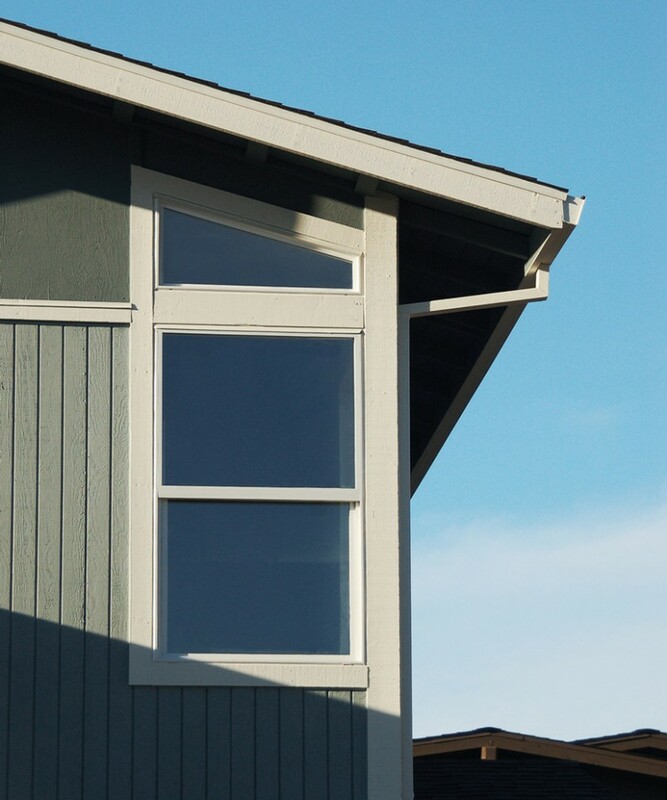 Make sure that you’ve selected the right window’s size in order to make it balanced with other exterior parts. 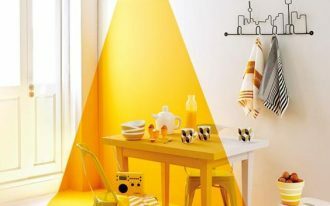 This kind of window is able to supply the natural lights for inner spaces. 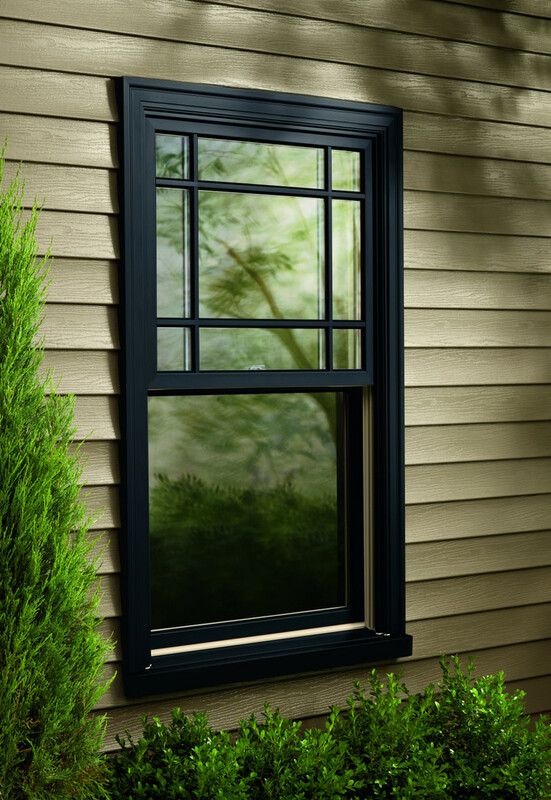 A double hung exterior window with black aluminum mold may be your choice to beautify your house’s exterior. It fits with wooden siding walls usually applied on traditional houses. 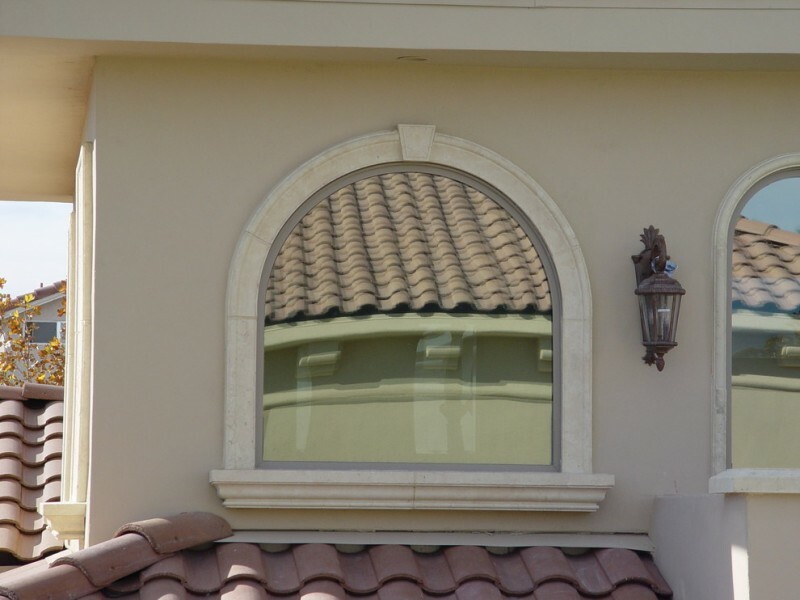 The series of Mediterranean-styled exterior windows with mirror glass panels and thin black window trims – such window model is always matched for Mediterranean-styled house. 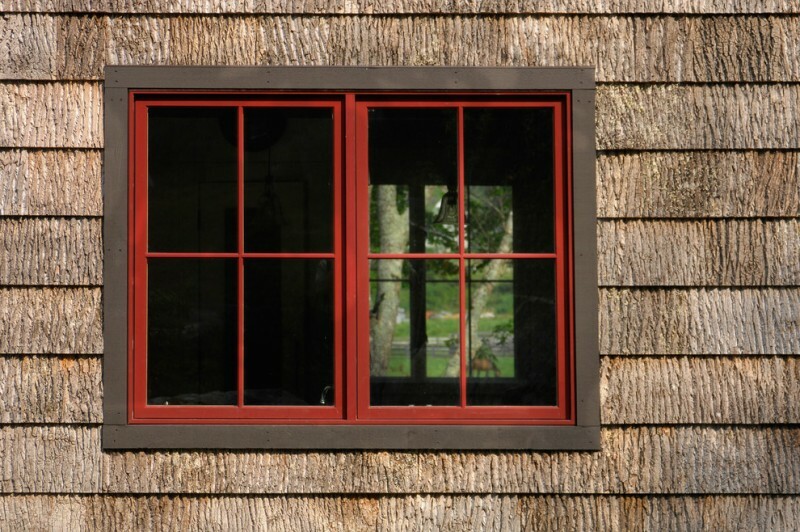 It’s possible to install two exterior windows in different size and shape. 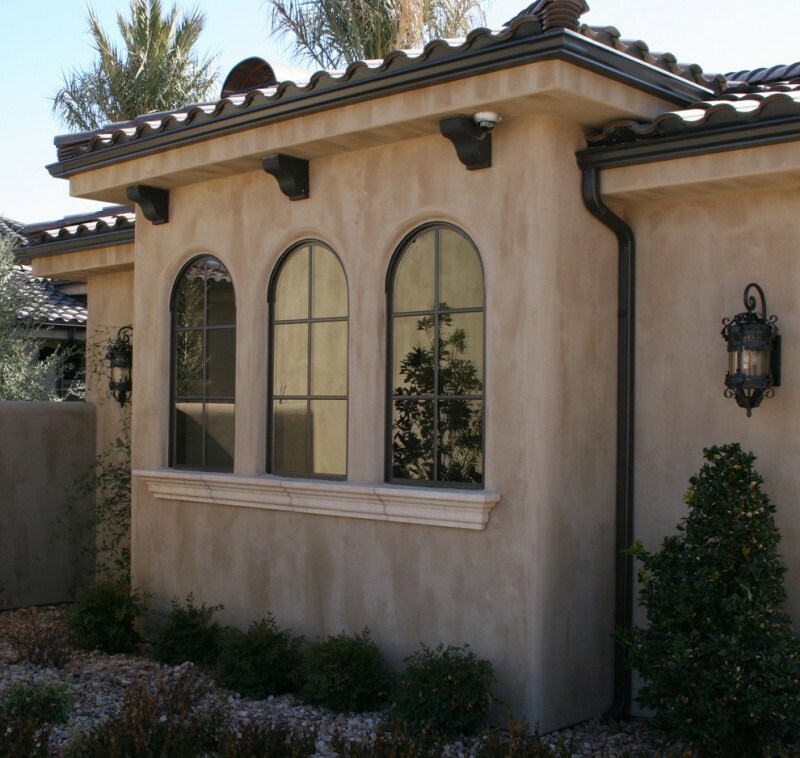 This photo shows two exterior windows with different size and shape are installed in bright clay-color exterior. 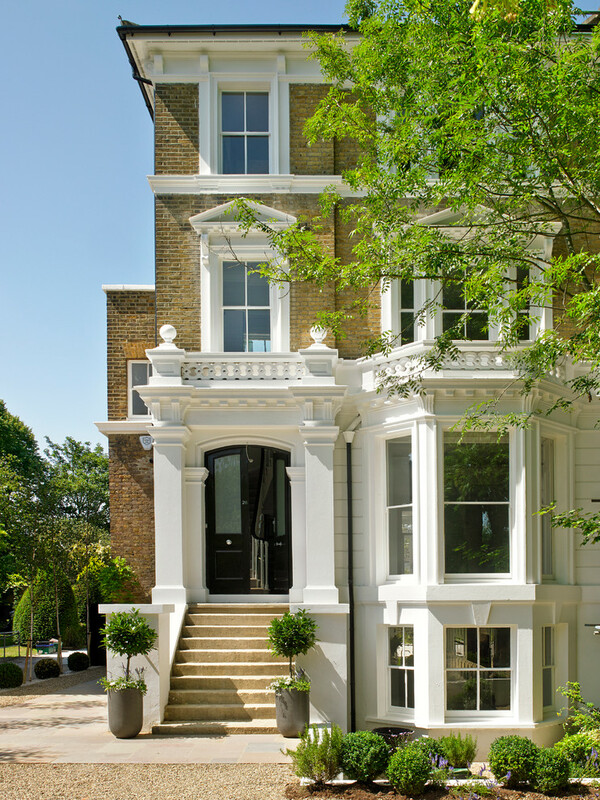 Each window has been garnished with white trims and transparent glass panel. 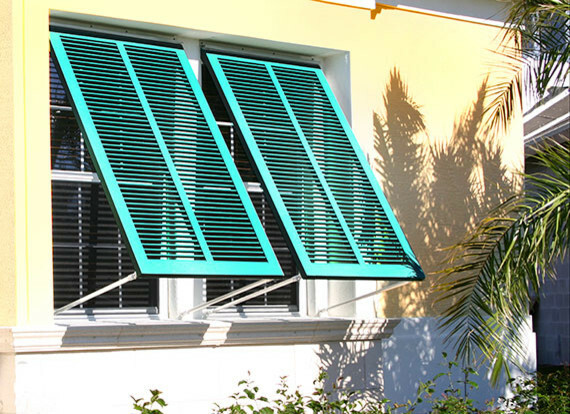 Hard metal shutters offer extra protection for the window. Such window model suits you who require extra protection, especially for your home. 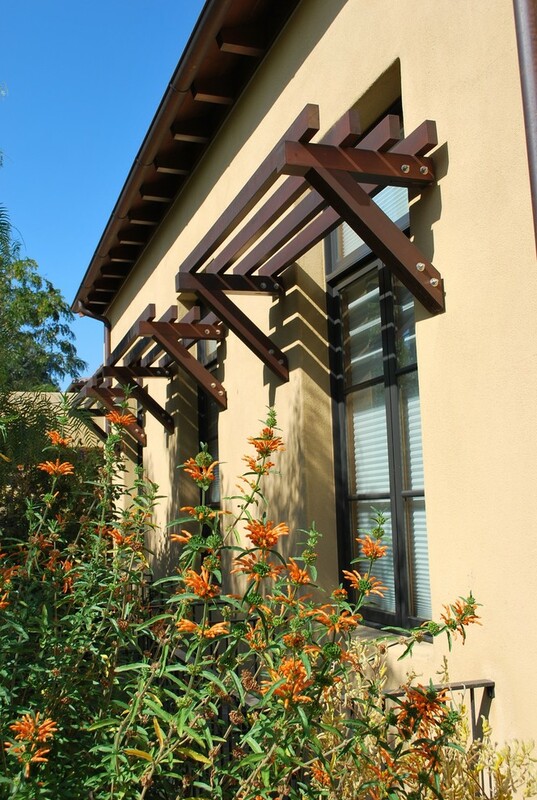 Besides that, these metal shutters are artistic and unique decorative items for your house’s exterior. 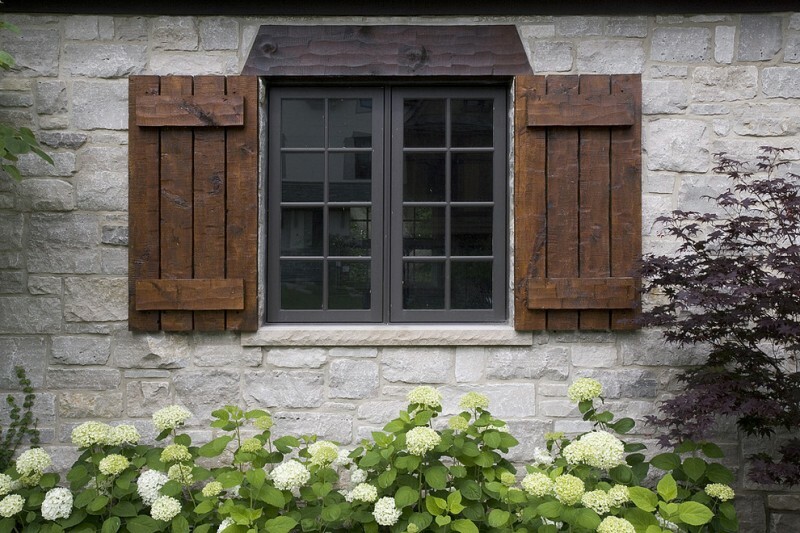 If you really love rustic, this exterior window is so recommended for you. 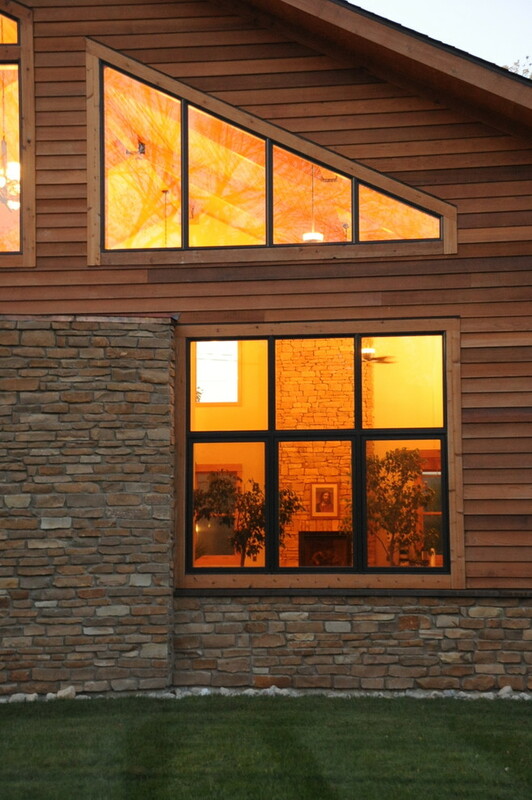 A barkhouse exterior is supported with stunning double-framed window and hard & textured siding walls. The frames consist of two different color tones: dove black and deep red. 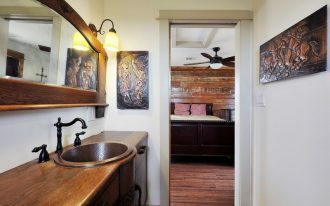 These colors are perfect when being collaborated with earthy & shabby wooden siding walls. 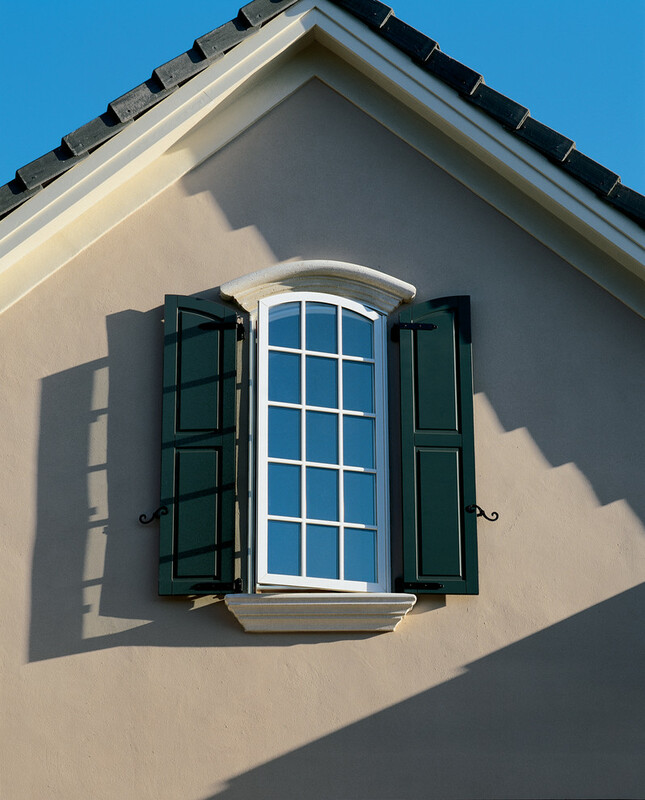 These exterior trims and moldings have successfully enhanced the window. This idea can be adapted by you who love simpler and smaller Mediterranean house. It can be said that this exterior window is so unique. The window has been attached with multi layers of frame made of artistic & patterned green tiles. The window itself has been attached with dark wood frames. 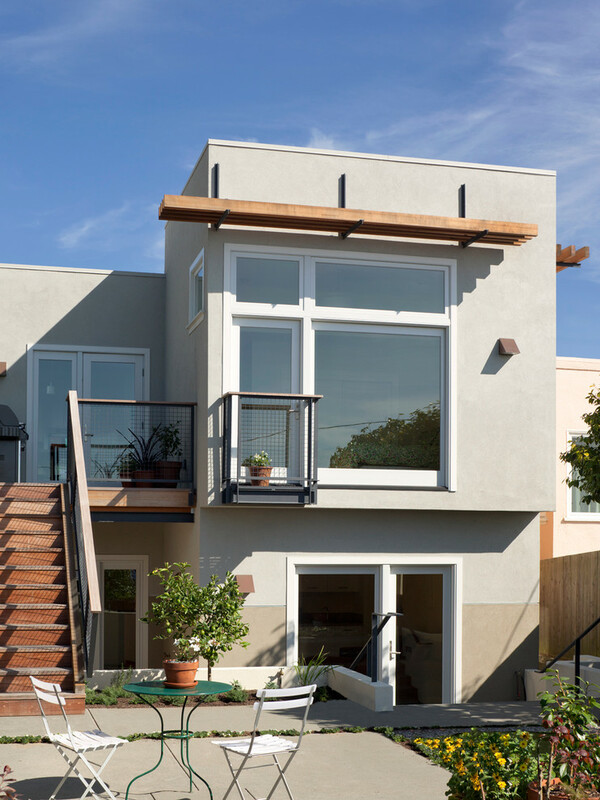 If you have a flat-roof house, it’s so recommended to choose this type of exterior window. 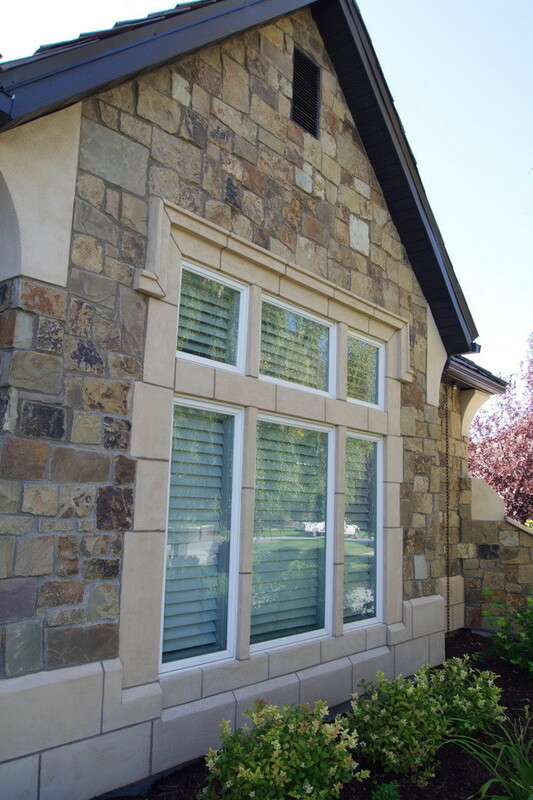 A package of five bow windows with best-quality glass panels and white aluminum capping will be a perfect addition for mosaic pale stone walls exterior. 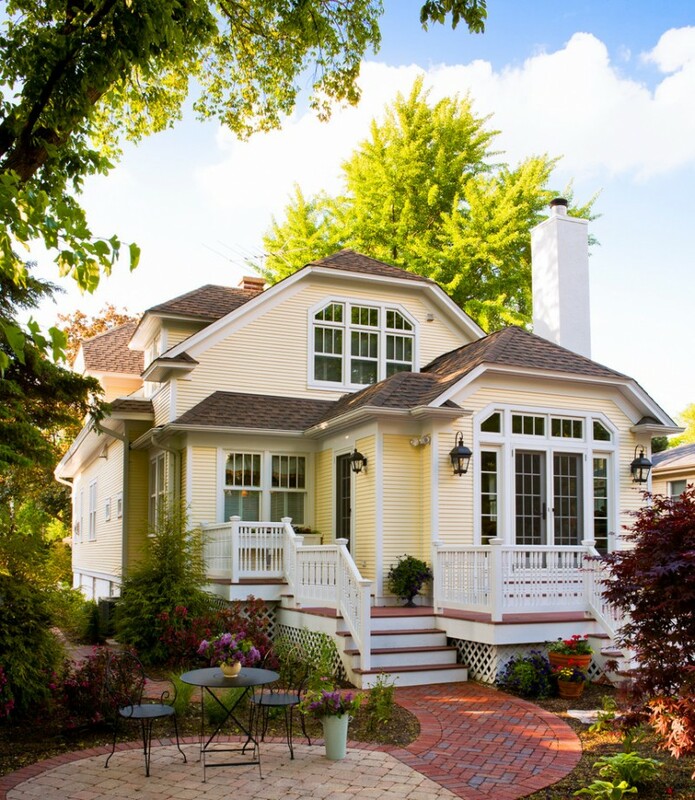 Many exterior windows are designed with decorative items additions like the windows above. The windows have been added with the series of decorative copper planters for growing flowers. Maximize your house or other kinds of constructions with such unique exterior windows. 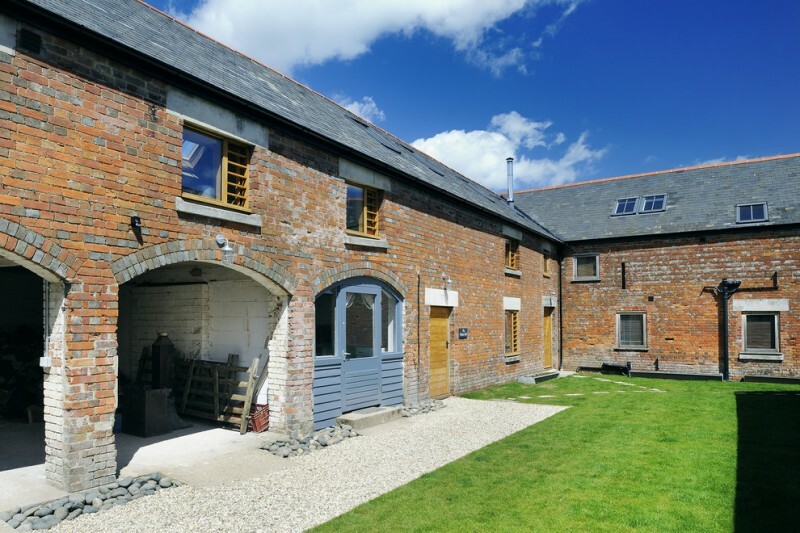 The windows are designed in multi shapes and they can be possibly applied on any buildings. An unusual window may be added if you like something unique and attractive. 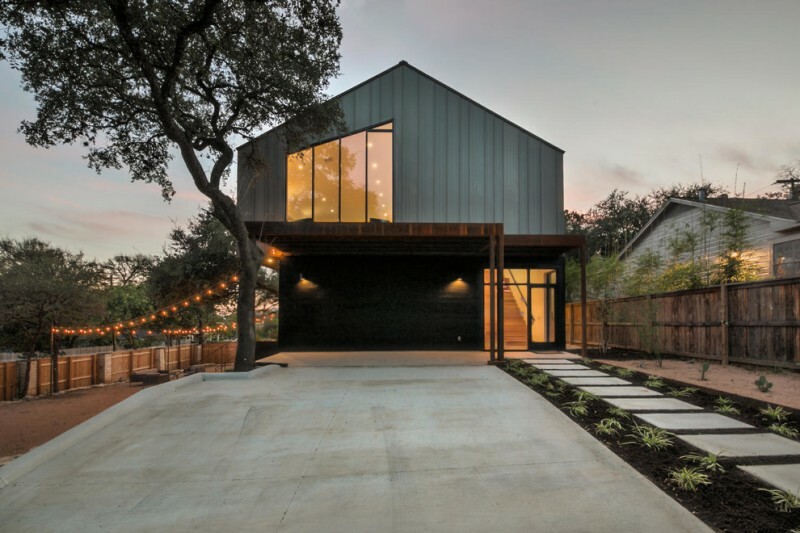 Like this idea; the homeowner selects large and unique exterior windows and door with full of glass panels as the main attractiveness. This opening is an exterior window which is specifically designed for a garden wall. 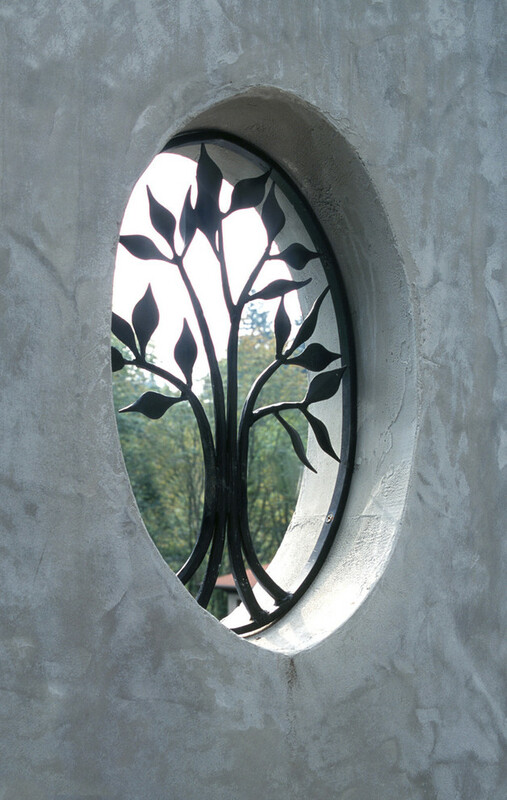 The window is beautified with tree ornament made of black wrought iron. Luxurious exterior windows are displayed on this picture. The windows have black panel which is beautified with gold-toned Moroccan motifs. The windows’ design is also unique with curved-top as the main characteristic. 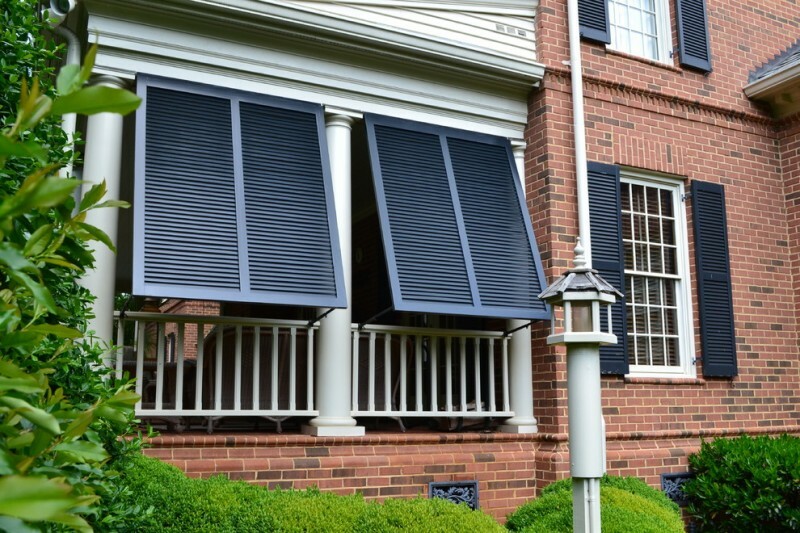 One of solutions to handle privacy and sun issues is by installing the best exterior shutters. This kind of exterior shutter can be customized and installed to any types of window, including the exterior window. Square & triangle exterior windows on cedar-made siding; this is a great idea of exterior design which may be adapted for your cabin house. 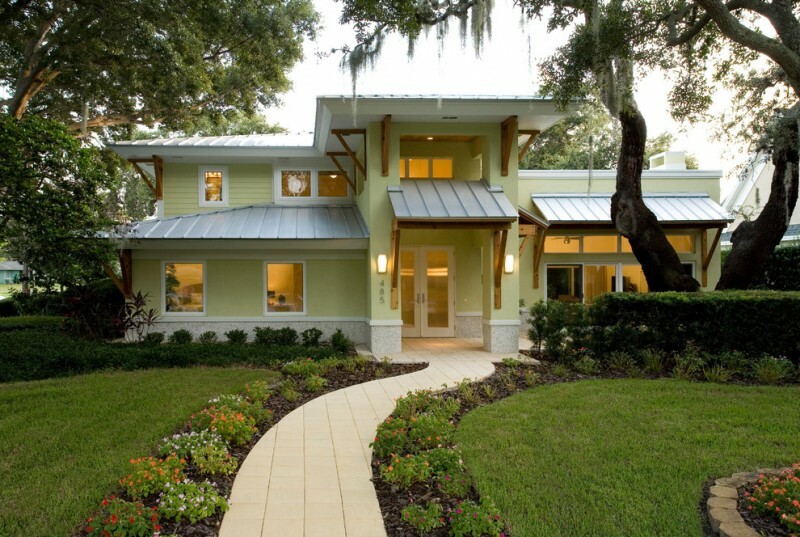 An exterior window with white-finishing aluminum trims and deep green panel addition is added to improve the exterior value. The window here is not only as the sunlight ventilator, but it’s also an air ventilator. These exterior windows are so luxurious. They are decorated with artistic and spiral pillars and curve tops as the ornaments. The series of exterior windows with wrought iron grille installations become the best choice for you who need extra protection for home. To make them more attractive, you can add the ornaments as the beautifiers. 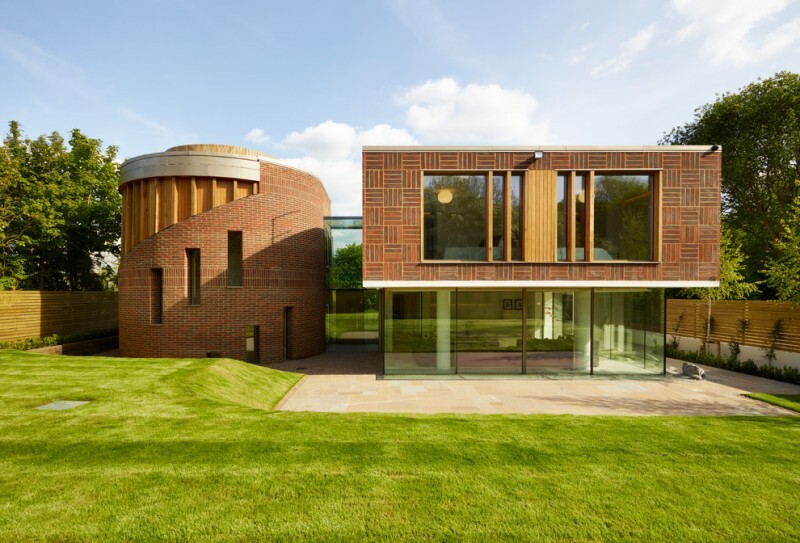 The arrangements of red bricks installed under the windows, for instance, are best alternative for making them much more eye-catching. Sometimes the storm protections are needed to install for protecting the house when the storms are happening. The exterior windows with storm protections are well recommended to install in some spots to prevent the damages caused by storms. For you guys who love black and want to use your favorite color as the dominant tone for your exterior, you can adapt this idea. 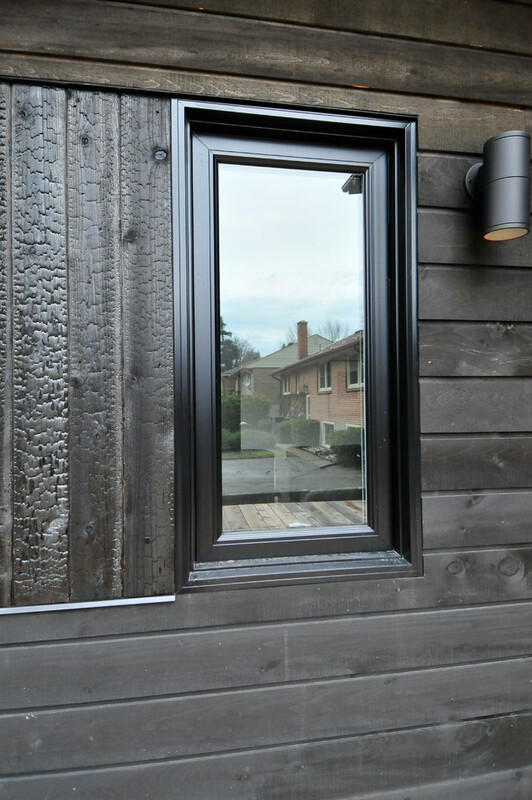 Add your black exterior with black vinyl and burnt-cedar exterior window. 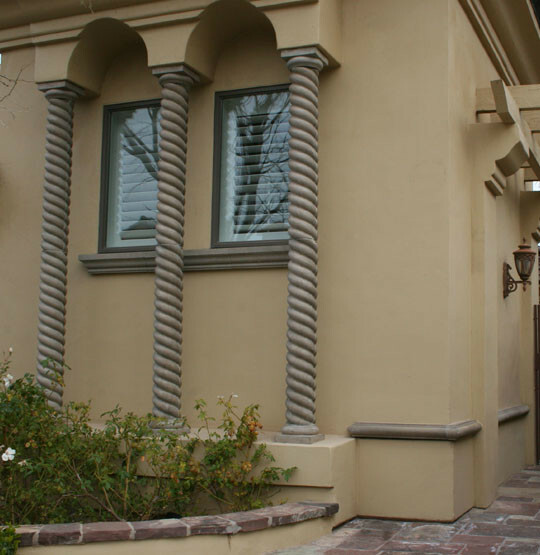 Choose different palette to make your exterior more attractive, especially in tones. 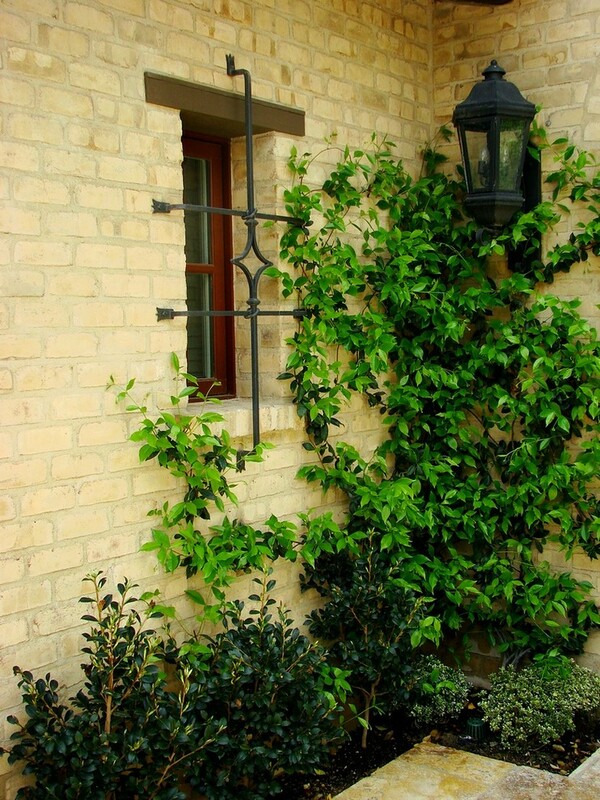 Black wrought iron here has double functions: as the window protector and ornament. That’s why this kind of exterior window is best option for you guys requiring a protector and ornament for your window. 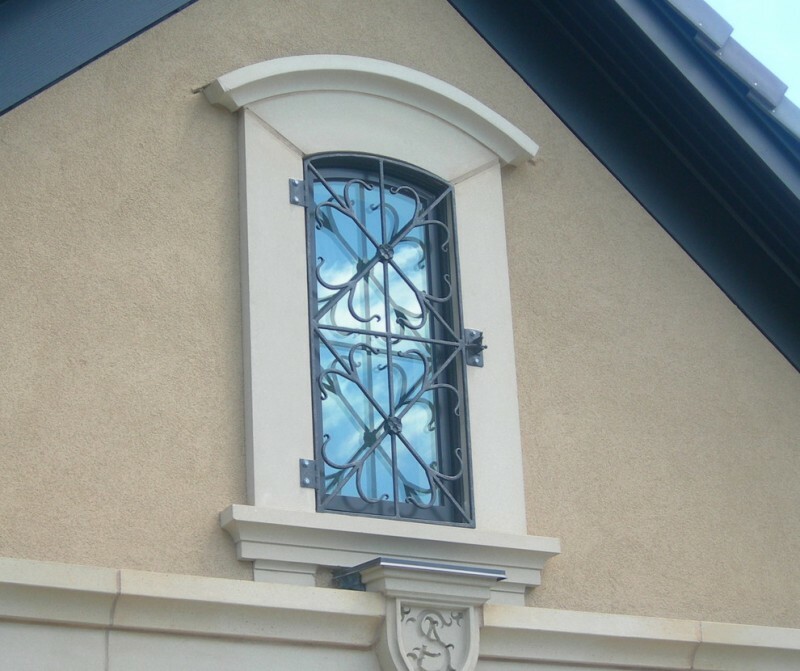 This is another model of single exterior window with black wrought iron additional. The difference is this one has just little wrought iron addition, and it’s similar in function (as a part of home security system). Well, if you rustic lovers, you need to try this idea. 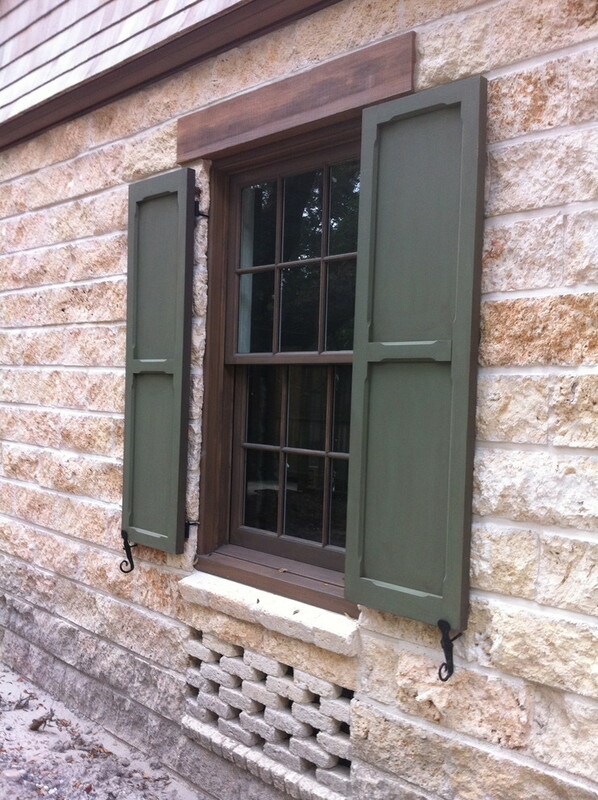 This exterior window installation is supported with hardwood exterior shutters and header. 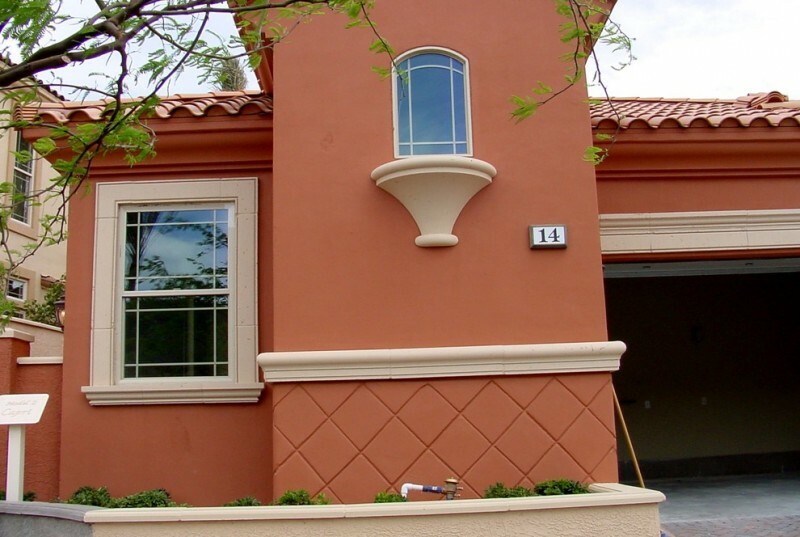 This combination brings a special accent for the exterior itself.